Anyone who has been to the Boulder farmers market knows about Haystack Mountain. As a child, going to the farmers market was my favorite activity. I would run over to the stand labeled “Haystack Mountain” and sample everything they had at least three times. After deciding that I couldn’t decide which one I wanted to buy and bring home, I would go and beg my mom to pick one for me. I was always delighted with her choice. Today, as a dedicated cheese lover, I still go to Haystack Mountains’ stand at the farmers market and attempt to pick only one cheese to take home. I have sampled and bought all sixteen of their mouthwatering cheeses. In fact, I guarantee that if you looked into my fridge on any given day, there would always be a Haystack Mountain cheese in there. I will put their chèvre in anything and everything without even thinking. The Queso de Mana- a raw milk cheese with a nutty flavor and herbal hints- made me a firm believer that raw milk had to be the milk of the Gods. Haystack Mountain has me convinced that goats are magical creatures who create out-of- this-world products. In 1991, the plain and simple Boulder Chèvre was introduced and has been winning awards ever since. Starting with 5 goats and 1 cheese and growing to 125 goats and 16 cheeses, Haystack Mountain has remained a stiff competitor in the world of cheese. Aside from being delicious, goat cheese is also extremely healthy for you. 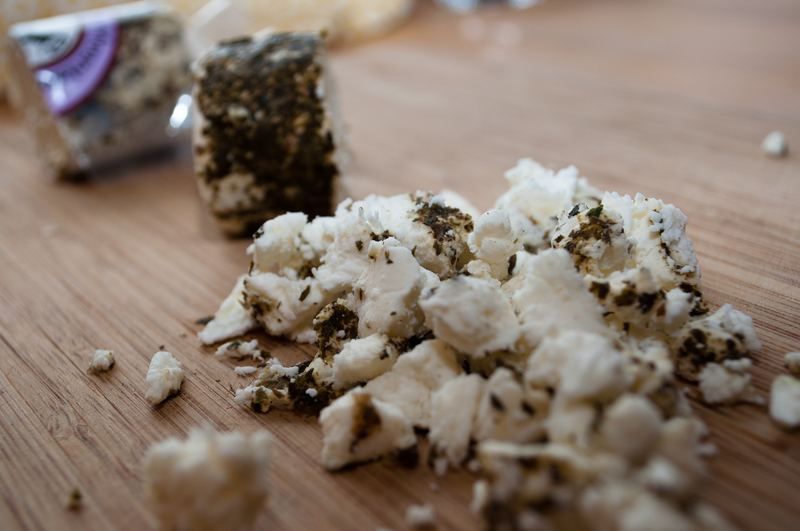 It is easier to digest than cow’s cheese because the fats in goat cheese are smaller and produce a softer curd. Goat cheese is lower in fat, calories and cholesterol (Boulder chèvre has 5.5 grams of fat per ounce compared to the 9+ grams in many cow cheeses). If that isn’t good enough for you, potassium, vitamin A, thiamin, niacin and protein quantities are all higher in goat cheese. You can find Haystack Mountains chèvre in nearly every grocery store in Boulder. I recommend going to a store that has a large cheese selection and trying out their Aspen Ash, Queso de Mana or Red Cloud. I predict a future where people are buying Haystack Mountain Camembert and Snowdrop alongside with their Haystack Mountain chèvre. No choice will leave you disappointed. Haystack Mountain products are now sold in 30 states but they will always remain a Boulder local. Go check out their creamery in Longmont to see what all this commotion is about. I promise you it will be worth it.